Chemesis International Inc. has acquired intellectual property (IP) and the physical equipment for an extraction methodology to preserve all of the phytocannabinoids and terpenes from cannabis utilizing a low-temperature process to create live resin. The method will allow the company to produce a unique variety of finished goods such as tinctures, shatters, vapes, oils and other consumer products that can be varied to achieve desired potencies of different cannabinoids and terpenes. The company will relocate the extraction assets, which are currently situated in a licensed facility in San Diego county, California, to its extraction facility in Cathedral City, Calif. The sales staff will be retained and integrated into the Chemesis operations with the focus expanding to the entire family of brands. This will provide the company a third extraction method to complement its current ethanol and butane hash oil (BHO) methods. The low-temperature extraction will preserve 100 per cent of the natural cannabinoids, increasing yields and eliminating many of the operating costs normally associated with other method processes such as winterization, filtration and evaporation. This new methodology will allow the company to bring forward a variety of new products to the marijuana and hemp markets that have not been altered by high heat or solvents, which can degrade the quality of cannabinoids. With this transaction, the company has initial monthly purchase orders in excess of $200,000 (U.S.). 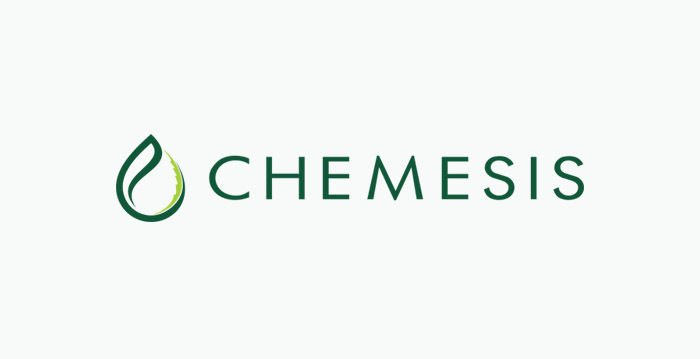 Under the terms of this partnership, Chemesis will issue 1,597,633 shares priced at a deemed value of $1.69. The stock issued is subject to 36-month lock-up/leakout guidelines. Chemesis International is a vertically integrated global leader in the cannabis industry, currently operating within California, Puerto Rico and Colombia. Chemesis is developing a strong foothold in key markets, from cultivation, to manufacturing, distribution and retail. Chemesis has facilities in both Puerto Rico and California, allowing for cost-effective production and distribution of its products. In addition, Chemesis leverages exclusive brands and partnerships and uses the highest quality extraction methods to provide consumers with quality cannabis products.